Today we left Australia‘s Goldfields and entered it’s Wheatbelt. This image was taken in an area between the two. 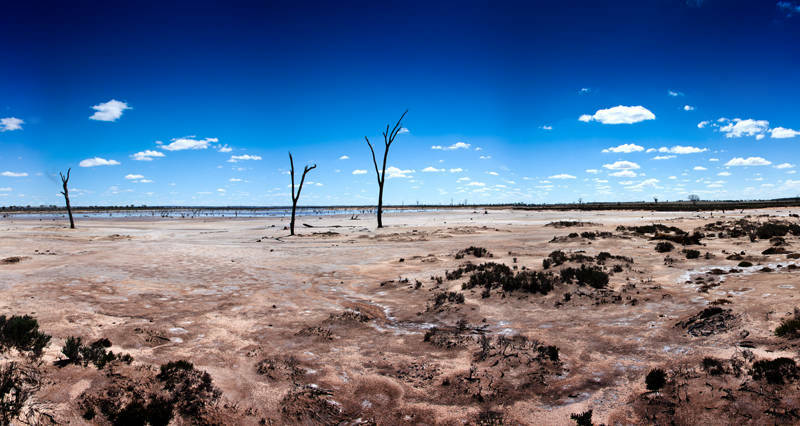 It shows two of Australia’s environmental challenges. Fire and the rising salt level caused by historic deforestation. We camped at a place called Kokerbin Rock which has the title of Australia‘s third biggest monolith after the famous Uluru and Mt. Augustus which I had the chance to climb 15 years ago in my first visit to Australia. Tomorrow head East to the wonderfully Australian named Bruce Rock before heading south to The Deck in Hopetoun where we will be working over the festive period.